A newly built luxury mansion in Surrey, England has gone on sale for $21 million. The luxury property has a couple of notable features that include a ballroom that converts into an indoor swimming pool, and a indoor car park that can rotate to avoid you have to reverse your car. 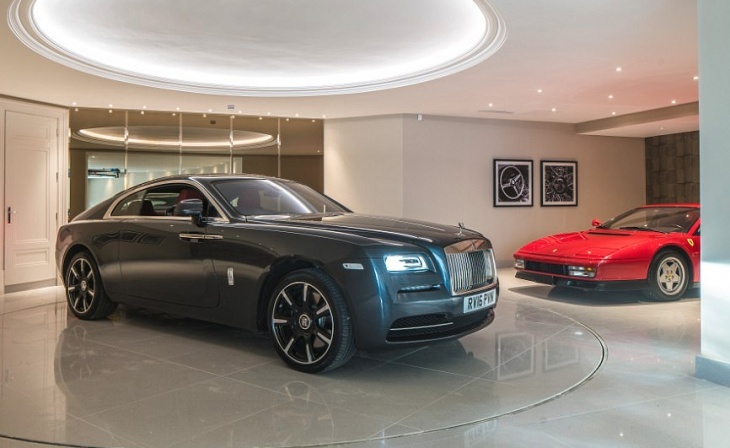 The mansion, which is a development from Lucas Design is on the highly exclusive St George’s Hill private estate, whose known to have had a few very high profile famous residents that include the Beatles drummer Ringo Starr as well as racing driver Jenson Button. Other expected features for a luxury mansion that are also found within this mansion is a cinema, wine cellar, 5 luxury bedrooms, games room, poolside bar, spa, sauna and steam room.